THE AMERICAN DEMO FARCE IS GETTING WORSE – TRUTH IN MEDIA: TRUTH TRUMPS POWER EVERY TIME! Well, for the Truth in Media readers and followers of several decades, this is nothing new. But it is the new news base don the latest Associated Press poll. The overwhelming majority of Americans, irrespective of party allegiance, holds a dismal opinion of Congress, a fresh poll shows. It found 89 percent of Democrats and 82 percent of Republicans disapprove of the legislature’s work. The attitude to the Republican-controlled legislature does not change much across party lines. The number of Democrats that held an unfavorable view of Congress, 89 percent, is only seven percentage points higher than that of Republicans, at 82 percent. While Congress, at its current 20 percent approval rating, according to Gallup, is safe from breaking records any time soon, President Donald Trump, with his 38.4 percent job approval rating during his first year in office, became the first president to go below 40 percent in his first year, with his nearest contender in this respect being Bill Clinton, at 49.3 percent. It was in October 1993 that I first deciphered the New World Order’s MO, and identified the real boss. 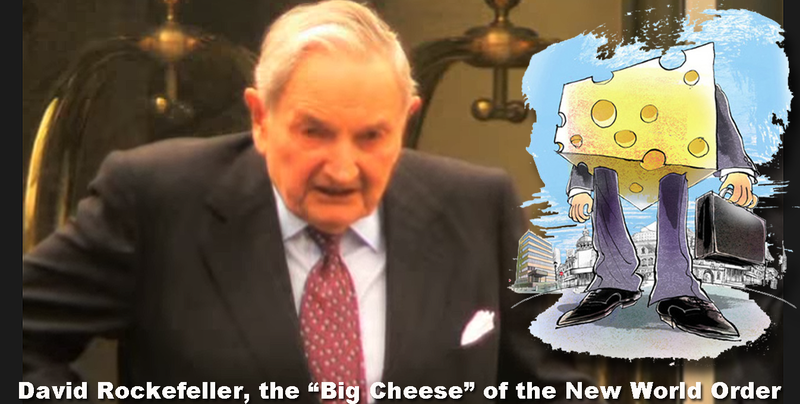 I called David Rockefeller the “Big Chesse” at the time.